Each winner may select a $100 gift card from either Amazon, Dartmouth’s Computer Store, or the Coop Food Store. Pre-enroll now in Duo to be entered into these weekly raffles. Did you know that the eduroam wireless network is a secure worldwide-federated network access service developed for the international research and education community? 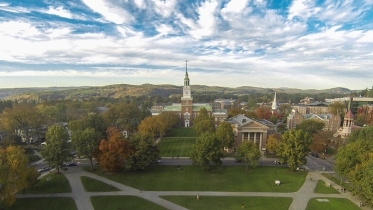 What this means for you: Secure access to Dartmouth systems Ability to connect to any eduroam network across the world Greenprint!!!!! Connect to eduroam and go.